HomeMLBPirates spring training outfielders: Who are these guys? Pirates spring training outfielders: Who are these guys? Time for outfielders. I won’t cover the starting outfield of Starling Marte, Corey Dickerson and Lonnie Chisenhall, nor Gregory Polanco. The Pirates have a mostly interesting list of fringe outfielders this spring. Whether it turns out to be good or not remains to be seen. Jason Martin (No. 53): Martin had a big first half at Altoona in 2018 before struggling at Indianapolis. Hopefully, he’ll get acclimated there this year; a good start from Martin and/or Bryan Reynolds should reduce the risk of a J.B. Shuck callup. It’d help if Martin convinces the Pirates he can handle center. Scouts don’t seem to view him as a full time center fielder. (You can try saying “Brian Cartwright” three times and maybe you’ll find out what the numbers show.) Anyway, hopefully Martin will become an option this year in case a need arises. He’s on the 40-man roster, so barring a rough year he should at least get a September callup. 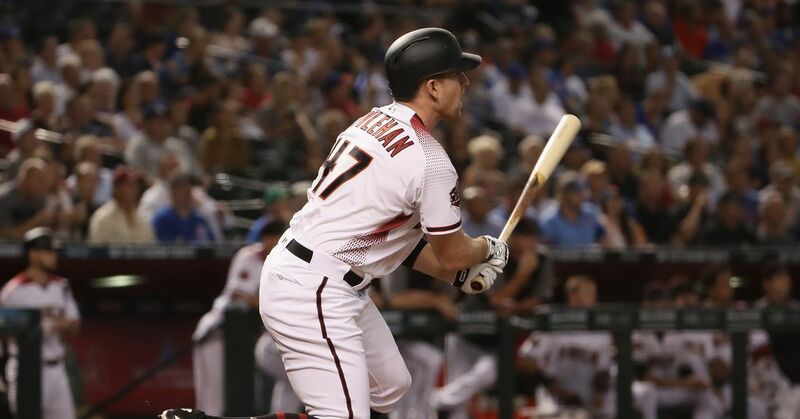 Patrick Kivlehan (46): Good power makes Kivlehan interesting, but he was a latecomer to baseball and has an unorthodox swing that major league pitchers have taken advantage of. He has experience at first and, in the minors, quite a bit at third, although outfield is the most likely spot for him. He spent all of 2017 in the majors with the Reds, although he didn’t get a lot of playing time; he appeared only briefly in the bigs in 2018. With Melky Cabrera on board, Kivlehan’s best shot is probably an injury or two, which could certainly happen with the Pirates’ injury-prone outfielders. Bryan Reynolds (51): After hamate surgery last year, Reynolds bounced back very well. Like Martin, he’s played center but may not profile there long-term. A lot will depend on whether he can continue to improve his power output, something he made progress on with Altoona despite the hamate. He hasn’t played in AAA yet and isn’t on the roster, so he may not see Pittsburgh this year absent a season good enough to force a September callup. J.B. Shuck (17): Shuck has ridden the AAA/MLB shuttle since 2011. The Pirates probably see him as depth in case of injury to Starling Marte; he’s played a lot in center, although he’s average-ish there. The thing is, he really can’t hit. He has a 73 career OPS+ in 1232 plate appearances. He managed just a 50 OPS+ in 2016 and 40 in 2018, despite 383 PAs between the two years. (He didn’t reach the majors in 2017.) So it’d be nice to see Martin and/or Reynolds get established as options. Melky Cabrera (53): Cabrera has had a lot of twists and turns in his career. He started off in the majors as something of a tweener, with too little power for the corners, and enough speed but not very good defense in center. He had a power surge in 2011-12 that ended with a PED suspension, but he’s continued to hit for decent power since then. He signed minor league deals with Cleveland not once but twice in 2018, and ended up in the majors both times, having a pretty good second half as the starter in right. He’s still only 34 and, if his recent hitting holds up, would be solid as a fourth outfielder or platoon guy. A switch hitter, he’s been much better against LHPs in recent years, but has no real split for his career. Cabrera doesn’t need to be in center and is subpar even in the corners. His speed has dropped to the point where Statcast has him solidly below average. He’s on a minor league deal but may have the inside track to make the team.